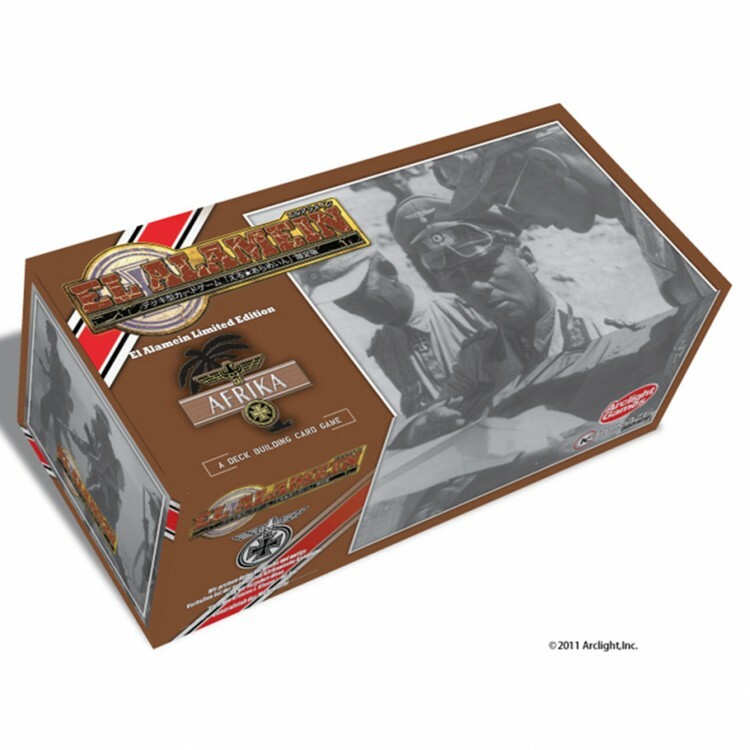 El Alamein (a stand alone expansion to Barbaros­sa) is a Historical deck building card game for 2-5 players in which the German military fights the British for control of Africa! Using an in-game deck-building mechanism one buys cards from an open card pool to build a strong strategic deck. The ultimate objective is to conquer the city of Alexandria. If Alexandria falls the player with the most victory points wins. Victory points are ac­quired by conquering different cities and strate­gic positions throughout the game.